I could not have been more surprised to see this number on the meter. If, at 31, he just started to be aware enough of a low blood sugar to tell me, and I just started to see symptoms that would make me ask the question, what was going on in his body in between 30 and 80? Or is the meter/strip just too inaccurate at those low numbers, and he wasn’t truly that low? He gobbled down 4 glucose tabs and a 16-gram yogurt, and when we rechecked a few minutes later he was up to 96. Phew. This is the second time this week that he’s crashed into the low 30’s, with no symptoms or awareness, after a breakfast site change. Next time I change out his infusion set I’m going to do hourly checks until I’m sure his numbers are staying up! 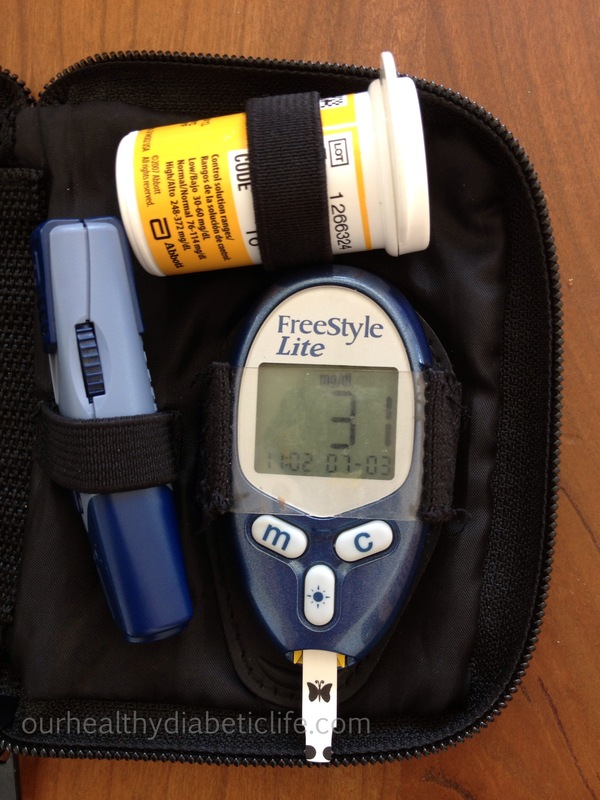 This entry was posted in Type 1 Diabetes and tagged Blood Sugar Checks, Diabetes, Hypoglycemia, hypoglycemia unawareness, Infusion Set, Insulin Pump, Kids, Life, T1D on July 3, 2013 by Angela Major.